Well, maybe more than a couple, but it won't be many seeing as how it's near Davis Cup time! 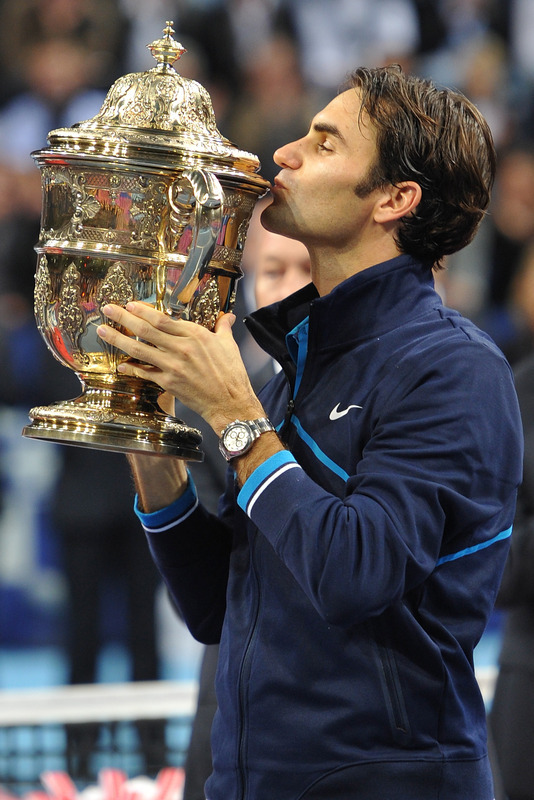 * Congrats to Roger Federer on winning his sixth year-end championship. It's a great feat, especially seeing as how this year hadn't exactly been up to his usual standards. * As great as that was, though, I wish he would've played those other three guys--Novak Djokovic, Rafael Nadal and Andy Murray--at their best. * Speaking of those three guys, pretty weak effort from the lot of them. Well, maybe, it's not the effort, but the way they all broke down by the end of the year doesn't exactly instill me with a ton of confidence about them having lengthy careers like that of, oh let's say, Federer. * Great way to end the season for Jo-Wilfried Tsonga. Dude just has to stay healthy and he could be a legit threat to break up the big four. * And a very nice effort by David Ferrer, getting to the semifinals: What happens if he wins that first set against Federer? * Tough break for Mardy Fish, but if anything, he'll be hungrier to get back to the tournament again. Janko Tipsarevic, too. 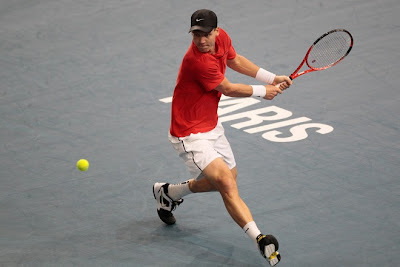 * Tomas Berdych showed something there: Can he do more of that in '12? That's it: More than a couple of words, but I still tried to keep it brief! For thoughts on the doubles there, check out The Doubles Alley! Novak Djokovic and David Ferrer should be expected to go to a third-set tiebreaker, right? If not, I'm sure the fans at the O2 Arena for the ATP World Tour Finals will be hollering for their money back! It's only to be expected that a match should go the distance there after what's been happening, most recently with Tomas Berdych fighting off a match point against Janko Tipsarevic. Guess it's karma gone right for Berdych after what happened to him against Djokovic. If Ferrer and Djokovic don't go to the end of ends, maybe it'll just be your standard-issue blowout, like that Roger Federer-Rafael Nadal result. Umm, yeah, that did not live up to the hype, to say the least! Or who knows? Maybe Ferrer or Djokovic will even bow out of the tournament before the match starts, like Andy Murray was forced to--leading to the Tipsarevic appearance. You just never know. What will all of these guys do for an encore? I can't recall so much drama at the year-end championships in the first rotation of round-robin play. The top seeds might not be so excited about it, seeing as how if they weren't upset outright, then they were really tested. Andy Murray was knocked off in his first match and is toying with the possibility of pulling out the whole shebang. Rafael Nadal and Novak Djokovic were each taken to the limit, and Roger Federer was pushed to three sets. It seems as if things have slowed down a bit this morning (morning my time, at least), with Jo-Wilfried Tsonga's straight-sets win over Mardy Fish. Maybe by the time it gets to that Federer-Nadal match, we'll be back in third-set tiebreak action, picking back up on the trend of the tournament's start! WTF Preview: Murray, Federer, Nadal and Djokovic--who has the answers? How healthy is Djokovic? Is Rafa going to be rusty? Will the pressure be too much for Murray, playing in his "hometown"? Is Federer really in good form? And that's only a sample of what I'm thinking about those guys going in! I guess I can give my take on those four queries. Djoko isn't healthy. Rafa will be rusty, but a little rested, which will do him some good. If there's a time for Murray to thrive, this is it. Federer's form is still too hard to gauge, seeing as how he didn't play any of the guys ranked above him. Federer could be in for a bit of a shock, going up against Nadal in group play for the first time, and Jo-Wilfried Tsonga and Mardy Fish are no jokes. The other group holds its own problems for Murray and Djokovic, as alluded to in the prior post. Still, I think the champ of the tournament will come out of the top four, maintaining what has been the status quo all year--despite all the questions. WTF Preview: Fish, Berdych, Tsonga and Ferrer--who'll break through? So there's Roger Federer, Andy Murray, Rafael Nadal and Novak Djokovic, for whom playing in the ATP World Tour Finals is almost a given. Then you have players like Mardy Fish, who is making his debut; Jo-Wilfried Tsonga, who's been on a tear the past couple of months; Tomas Berdych, seeming to turn up the intensity the past few weeks; and David Ferrer, who you know will fight for everything he gets on a tennis court, regardless of the surface. Those four have a lot to play for, in particular, a confidence boost for the year ahead and points that will help them break up the stranglehold at the top. Fish, Tsonga, Berdych and Ferrer are all quite adept at playing under fast conditions, which will help them greatly in London. Ferrer and Berdych are in the same group with Djokovic and Murray, while Tsonga and Fish will have to take on Nadal and Federer, as well as each other. So who of the lower four can do the most damage? I'm going to have to say the draw actually shakes out nicest for Berdych: He just beat Murray, Djokovic is perhaps more vulnerable than he has been all season and Ferrer might have trouble handling the big man's firepower. Look for Berdych in the semis. The groups have been set for the World Tour Finals kicking off Sunday, and they're both quite a doozy for any player involved. Getting through will be no picnic for anyone. As I said, a doozy! What I'm going to do in anticipation of the big event is give a daily preview starting later on today. I'm going to handle two players at a time, counting down from eight to one. I'll be doing the same for the doubles team at TTA's sister blog, The Doubles Alley. I'm going with two just to make sure I have them all in by Sunday, but if I slip, I'll just triple or quadruple up! Well, he finally got one there! 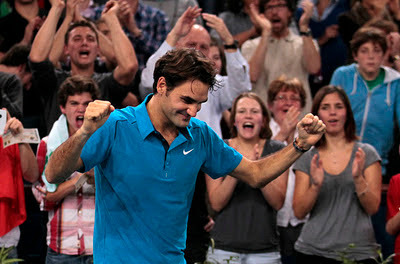 Roger Federer won his first Paris Indoors title, beating Jo-Wilfried Tsonga in straights for the victory. It's been a little shocking that, for whatever reason, he hadn't gotten it done there before as he's one of the greatest fast-court players of all time. Now that monkey has been erased with his 18th Masters series title. This was also his second tournament victory in a row after having won in Basel. I'd expect this run of good form will continue through next week's World Championships. However, I'm not going to declare Federer's "back": It's just too hard to say as he still hasn't faced his three main rivals recently. And then when he does, you have to wonder about the state of their health, mental and physical. Fed's proven he's OK in both of those regards at the moment: Back-to-back titles will do that. So Novak Djokovic pulled out of his quarterfinal match with Jo-Wilfried Tsonga at the Paris Indoors. If you didn't see that coming, you might need some thicker glasses! Seriously, though, it was so borderline that he was even going to play the tournament, I'm surprised he even got a couple of matches in. I'm not going to go into why he chose to enter the event, but I will say that I think he should've just sat it out. The dude is seriously beat up at this point in the year: legs, back, shoulder ... that's a lot for one guy to deal with over 11 months. Who knows? Maybe he shouldn't have played in Basel. I do know that looking at it now, it seems he came back too soon. Sure, it's good to get matches in before the year-end championships, but with the season Djokovic has had, that tournament almost gains a sense of irrelevancy compared to being as healthy as possible for 2012. Anyway, just a bit of advice from TTA?, Novak, old pal: Take it easy out there! 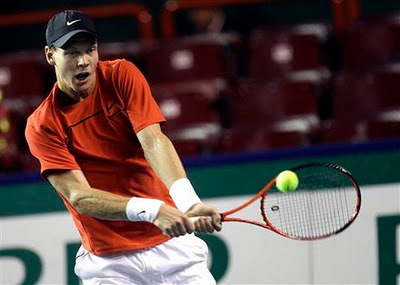 Tomas Berdych: Doing the job of three men! With his win over Janko Tipsarevic in the third round, Berdych helped everything fall into place for the ATP World Tour Finals: He's going in at six, Jo-Wilfried Tsonga will be seven and Mardy Fish is eight, making his YEC debut at the age of 29. Berdych and Tsonga have each had a pretty solid run this fall, picking up titles to boost their chances. Fish has been slowed recently by injury (and had to retire in his match today against Juan Monaco), but that can't take away from the season he's had. He definitely deserves his spot in the field. I know I just tabbed Federer as the favorite going in (see prior post below), but those three late qualifiers--if they're healthy--can definitely do some damage on a fast court. Getting out of the round-robin stage will be no easy task for anyone: just what you want to see in a championship event! I'll say this right now: If Roger Federer doesn't win the Paris Indoors this week, well I just don't know what to say! That goes for the year-end championships, too. He's coming off his second title of the year with his win at the Swiss Indoors over the weekend, so it seems he's in pretty solid form, right? Well, I think the tournament was marked more by the loss of Andy Murray before his first match, and Kei Nishikori upsetting Novak Djokovic in the semifinals. Federer did beat the guy that beat the guy in the title match, but still, how much more impressive would his win have been if he had topped Djokovic in the finals? It's not Federer's fault that the draw ended up the way it did, though. He took care of business on his part (a win over a fellow top-four player probably would have been more legit, though. That being said, he has to be the hands-down, clear-cut favorite to win this week in Paris. So, so many of the top guys are battling injuries, while his time away getting healthy seems to have helped. And things should be fairly interesting by the time the YEC rolls around: He should go into that as the favorite, too. By the time the year ends, Federer could be in great shape, rankings- and confidence-wise. We'll see how it all shakes out in the weeks ahead! 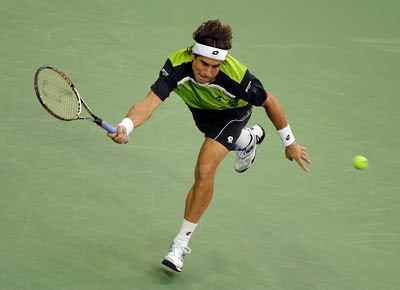 David Ferrer: How does he do it? OK, so right now on the ATP World Tour, you have your "Big 4" of Novak Djokovic, Rafael Nadal, Andy Murray and Roger Federer firmly locked in at the top. Then, toward the lower tier of the top 10, you have big guys like Tomas Berdych, Jo-Wilfried Tsonga and Mardy Fish lurking around. But in between those two groups happens to be the defending champ at this week's tournament in Valencia, David Ferrer, who, rankings-wise right now, can't catch the top four. In that similar regard, the guys behind him have no way of touching him at this point, even though they play with a style you might think upon first glance could overpower the Spaniard. Those guys might be able to tag Ferrer every now and then, but for the most part, he's going to come out on top. While he may play a steadier brand of tennis, he's capable of using his physical abilities to put some pop on the ball when the time is needed. You don't get to a career-high ranking of four in the world just by getting every ball back, especially in this day and age. If Ferrer defends his title in Valencia this week, it wouldn't come as a surprise. If he were to make the finals next week in Paris or later at the year-end championships, that would be a bit of a shock. Then again, he has made the finals at the YEC before, so maybe it is well within the realm of possibility. I don't know: I started this post with a question in the headline, and I'm still confused at the end! All I guess I do know, is that he's an enjoyable player to watch and best of luck to him going forward!